An interesting mixed load for 60025 Caledonian Paper on 26 April 2003, as it passes Maud's Bridge with the 6D65 10:01 Doncaster to Immingham Enterprise service. Unfortunately this was running very early, which resulted in the lighting being much more head than I would have liked. 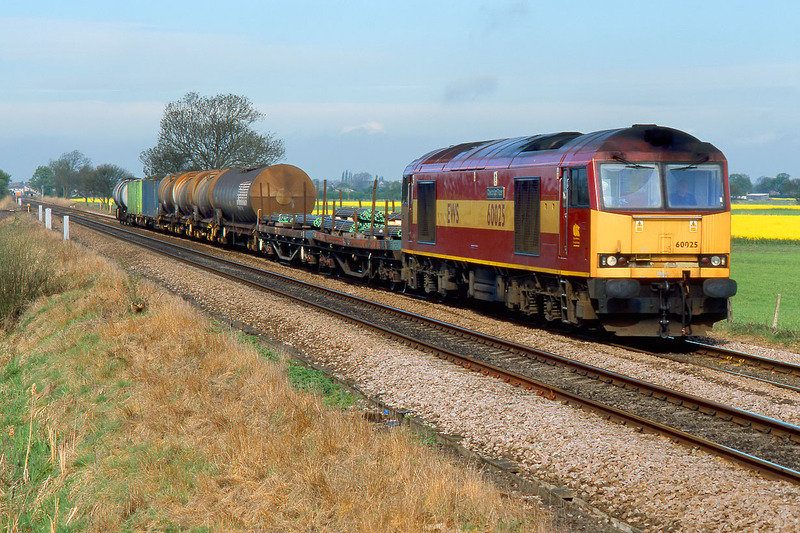 This minuscule load hardly warrants the use of a Class 60, but by 2003 EWS was rapidly disposing of its Class 37 fleet, which would be more appropriate traction for this job.